Mari Kondo (aka KonMari) is an organizing consultant who became quite famous with her book The Life-Changing Magic of Tidying Up: The Japanese Art of Decluttering and Organizing published in Japan in 2011 and translated in english two years later. 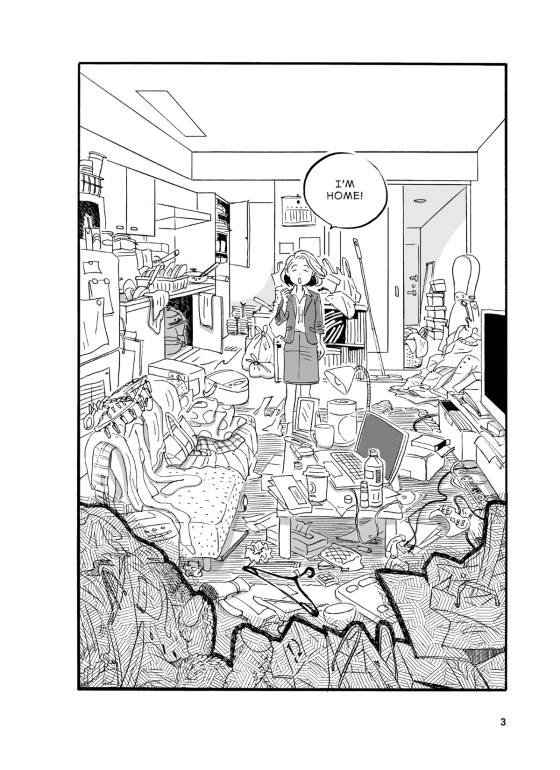 With the help of illustrator Yuko Uramoto she has adapted her popular book in a manga: The life-changing manga of tidying up; a magical story (マンガで読む人生がときめく片づけの魔法 / Manga de Yomu Jinsei ga Tokimeku Kataduke no Mah? ), published in Japan in February and translated in English only four months later, in June 2017 ! Using her own experience, KonMari has developed a method to easily help people to tidy their small and cluttered apartments (which are quite frequent in Japan, particularly in Tokyo). She gladly give people lessons on how to vanquish the difficult task of categorizing, sorting, packing, storing and, mostly, discarding their possessions. The main character of the manga is Chiaki Suzuki, a sale office lady who falls in love easily, try to look interested in her boyfriend’s hobby but lose interest quickly and therefore cannot have lasting relationship and has accumulated quite a collection of hobby paraphernalia and sports gears! After desperately contemplating her cluttered appartement, she call KonMari to the rescue for a few tidying lessons (and maybe she’ll be able to attract the attention of her new neighbour)! Can she succeed in this heart-wrenching task? The book has ten chapters (for the ten steps of tidying): 1) Decide to tidy up: success depends 90% on your mind-set, 2) visualize your ideal lifestyle: how you want to life will help identifying why you want to tidy, 3) Finish discarding first: don’t choose what to discard but choose what to keep, 4) tidy by category: gather together everything in each category, 5) just fold and stand upright: solves almost all storage problems, 6) choose books by feel: if you haven’t read it by now you’ll never will, 7) paper and komono: discard everything but the current ones, the contractual one and the essential ones, 8) leave sentimental items for last: don’t let memories of the past keep you from moving on, 9) store things where they belong, 10) real life begins after putting your house in order! It offers a few useful tips on how to tackle such difficult task. However, the main principle of the book is “keep only what sparks joy“. It can be a little harsh as it encourage people to get rid of their memorabilia and old stuff — it is a real horror to collectors (particularly book lovers: she tells us that it’s the information inside books that counts, once you’ve experienced it (even if you don’t remember it well it is still inside you) so it’s likely that “they have already fulfilled their purpose”)! Her book offers not only a methodology but also teaches a mindset: tidying is really a way to confront our state of stagnation (because we’re too attached to the past or we fear the future) and set ourself free! You then gain confidence, things begin to work out well and positive things will happen! As interesting as it might be, it might rise a few eyebrows in the West as it is heavy with Japanese specific cultural elements like common superstitions and the Shinto belief (one of the Japanese religions, it is an animist faith where all objects have a soul). For example, she tells us that thanking our possessions for having been useful makes it easier to get rid of them or that touching clothes to fold them is an expression of love and appreciation as we pass on our energy to them. “Things pick up our feelings, including the thrill we feel when our clothes rise to the right (…) Folding your clothes is an opportunity to show them your appreciation for all they do to support you life.” She also teaches us to clap our hands to wake up our books because “books that haven’t been moved for a while are dormant, so it’s hard to judge whether to keep or discard them (…) just see if you feel any joy when you touch them” ! All in all, it is a cute subject, nicely narrated and it offers a nice (but simple) sh?jo-style art. An interesting read. 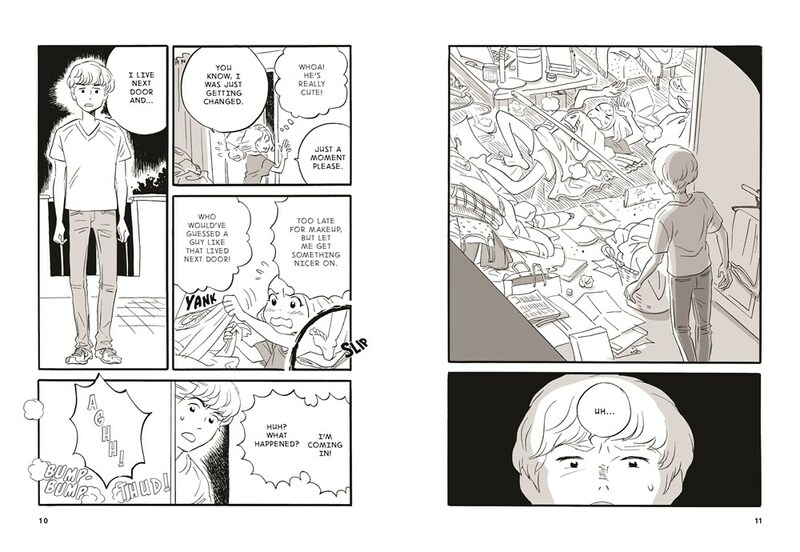 The life-changing manga of tidying up; a magical story. 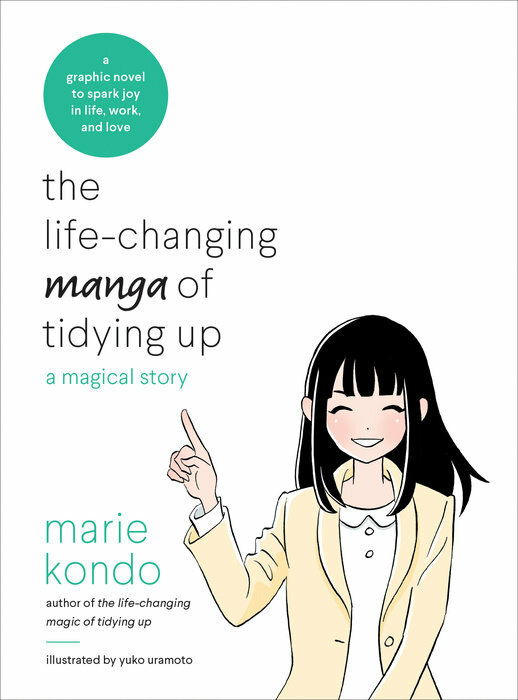 Story by Marie Kondo and art by Yuko Uramoto (translated by Cathy Hirano). New York: Ten Speed Press (Imprint of the Crown Publishing Group, a division of Penguin Random House), 2017. 188 pg. $14.99 US / $19.99 Can. ISBN 978-0-399-58053-6. Extract available on the publisher’s website. © 2017 Marie Kondo and Yuko Uramoto. Comment also available on Goodreads and (in French) on Les Irrésistibles.